They all require palladium, Peter Krauth in Money Morning US explains. Electronics represent 12% of gross palladium demand. For perspective, there were 5.4 billion cell phones on the planet in 2009. By the end of this year, estimates are that there will be 8 billion. It's going to take a lot of palladium for the world to keep talking, texting, and tweeting. But its most significant use is in the automotive industry, where fully two-thirds, or 67%, of all palladium is consumed each and every year. 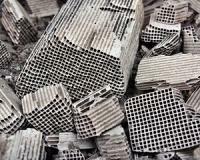 That's because palladium is found in virtually every single fuel-powered vehicle's pollution-controlling catalytic converter. And global light vehicle production has been on a tear in the last couple of years, with no signs of abating. 2011 saw 77 million light vehicles produced, and 2012 saw 81 million. This year, it's expected there will be 85 million units produced, and by 2017, IHS Automotive forecasts 102 million units. By 2018, China alone will likely be manufacturing and buying about 31 million vehicles annually. Developed and developing economies alike have adopted increasingly stringent emission control standards, boosting the need for palladium. There's little doubt, we're going to need a whole lot more of this specialised metal. With demand only set to climb, the palladium price should follow suit. And if you're wondering how you could potentially profit from the demand for palladium, there are plans to launch a palladium back ETF in the near future in SA. So keep your eyes peeled. Thirty-six percent of the world's palladium is mined in SA. So there you have it, palladium, the precious metal nobody is talking about but should be.